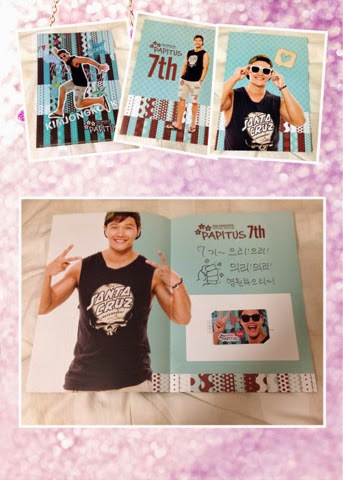 It was out of curiosity that I joined Kim Jong Kook's fanclub - Papitus - last year. And well, one of the perks of joining a fanclub would be the surprises and little gifts. 2 months before my holiday to South Korea, I received a surprise message in Kakao Talk: it was an employee from Urban Entertainment who informed me that there was a gift for all international fans and because of the failed delivery (no one was home at the time) she was trying to arrange another timing to send the gift. But since I was going to Seoul, I figured I might as well go down to collect it myself (too bad Kookie was out of the country at the time to do promotions). So after a few exchanges of messages, it was decided that I was to get the gift directly from Urban Entertainment's sister company (which was in Seoul) at an agreed time and day. 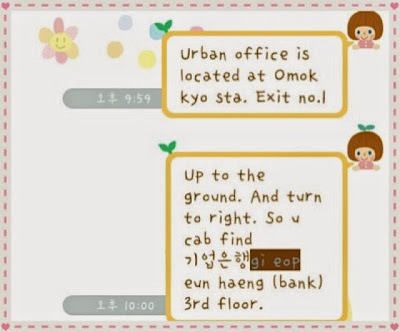 The person who was in contact with me, Jeonghwa, was very helpful and gave very detailed directions on how to get to the place. The staff told me that it was a pity that Kim Jong Kook went for an overseas fanmeeting in Indonesia, therefore I could not meet him here. Anyway, I am glad to collect my gift. It was really nice of them to contact me and ensure that I got the welcome gift!